Many politicians protesting, quite rightly, about the unfair hike in National Insurance contributions for the self-employed have missed the real solution. The important contribution is the one paid by employers, at 13.8 per cent of wages for abroad middle range of employees. It is an expensive outlay on workers, and often claimed to be a deterrent to increasing the payroll. More unscrupulous companies, mostly but not all US-owned multinationals, are evading this tax. They do not employ most of their workforce, but engage people labelled as self-employed. As one who has been self-employed for many years, even while holding such executive positions as business editor on national newspapers, I recall that becoming self-employed was beset with hurdles. A principal test was to prove that you decided how the task was to be performed, not those paying you. Almost three-quarters (73 per cent) of Londoners polled recently want Britain to remain in the EU. It is the highest number among all UK regions polled. In addition to the normal electorate, who will vote in the referendum on 23 June, some 500,000 EU citizens will also have a vote in the GLA / Mayoral elections on 5 May. Lib Dems don’t need a change of leader. What we need now is a radical change of policies and direction. This starts with a total repudiation of the War on the Poor, waged by Tories through austerity and so-called “welfare reform”. Waged, it must be said, by stealth. But waged in a manner that should have been more obvious to Lib Dems in Parliament and in government. The cause of this myopia can be debated. What is clear is what occurred while we were looking the other way. Stan Hardy, who died last Thursday aged 93, was the party activist’s activist. He devoted more than 65 years to Dulwich Liberal & Radical Association and its later manifestations, to the borough of Southwark, and to the party as a whole. Although he never sought public office, Stan’s influence was high among Liberals of all classes and ages. He was also a doughty champion and campaigner for many causes, especially for the NHS and against Labour-run Southwark council. Stan and his wife Maud, who he married in 1948, belonged to that dedicated group who kept the party alive in south London during the 1950s and into the Grimond era of the 1960s. Stan’n’Maud were ever-present at Liberal assemblies, and then Liberal Democrat conferences. It was their annual holiday, a break from the successful printing business they ran in Camberwell. They were also to be seen at most of the important by-elections throughout the country, from Orpington onwards. If George Osborne really wants to find enough dosh to get Britain out of the mess he has created, our advice should be: Go after the tax-cheating multinational corporations. It is about time these cross-border pirates were put in their place. And one place to be urgently put is paying tax on the profits made from operating businesses in countries outside their home base. I hate airports. Far too much of my life has been wasted in them. I especially hate Heathrow. It is a truly awful place to get to and spend time in; a choking, noisy, gridlocked example of unplanned, unfettered airborne and urban sprawl. It has outlived any pretension of social usefulness. A rise in aircraft movements by a third or more means unmitigated misery for millions. 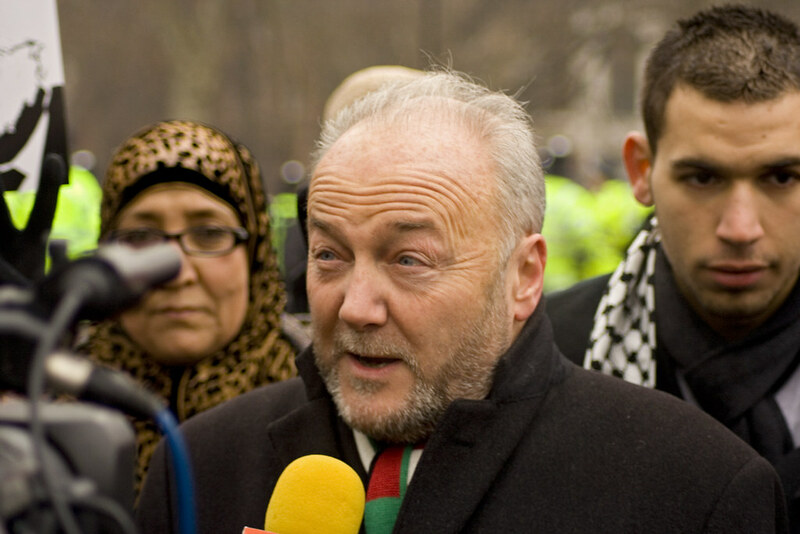 Well done George Galloway for last week’s Bradford West by-election victory. He was astutely aware of the state of a vacuous Labour party lacking leadership and direction, and took full advantage of it. Gateshead is hardly likely to go down in Liberal Democrat history as a mould-breaking or even memorable conference. On the key issue of the NHS, the spoils are divided. But our image among non-committed voters is bound to rise as a result of the look-again victory on Sunday morning. Back in the real world, polls show us still struggling to reach double figures, the party’s tally of councillors is at its lowest level this century, and continual calls of betrayal from some former voters leave us in urgent need of good cheer. Some 18 months ago, just before the Liverpool conference, The Voice kindly carried a piece by me about the need for a body I call LibsLeft. It is a slight play on words, aimed both at those who felt excluded from the party of coalition, and indicating our direction of travel if the party is to survive the 2015 election. Liberals have always fared badly from coalitions, readers were reminded. When David Cameron calls for shareholders to make decisions about pay and other issues in the companies they are listed as ‘owning’ he was not, of course, talking about the real owners. Since World War Two, the 80:20 rule has been more than reversed. In the 1940s, getting on for 80 per cent of shares were owned by individuals. Today, that proportion is a less than 20 per cent. The shares are held in the names of pension funds, fund managers, insurance companies and other parasitical institutions. OK, so most of the country is totally repulsed by the Screws and News International. Rupert Murdoch is “the devil incarnate” and Rebecca Brooks the most reviled woman since Marie Antoinette. Many of us have been convinced of this for years, if not decades. I once had the misfortune of working for a paper taken over by Murdoch. And seeing happy, friendly creative colleagues suddenly stop working for each another, poisoned by a culture of cynicism, suspicion and toadying to the bosses. One thing the disastrous election results should do is convince Lib Dems that we cannot rely on the coalition to miraculously bring us victory at the next election. However successful the government may be in its raison d’être of reducing the deficit, little of the credit will accrue to Liberal Democrats. Long before the Barnsley Chop was felt by the unfortunate Dominic Carman, an increasing number of Liberal Democrats have been murmuring about the longer-term effects of the coalition on our electoral chances in 2015. That murmur is now a whisper among those who focus four years ahead and feel queasy about our longer-term survival. Putting the Party First does not mean opposing the coalition. Quite the contrary. Over the next few days, Lib Dem loyalists will discover for themselves the frustration and futility of supporting the coalition. They may stand on the sidelines, shouting “Well played!” “Foul!” or “Offside!”. It will make little or no difference. There is no role for party activists. For according to Vince Cable, the coalition is “just business”. And the business of coalition government is to do unpopular and illiberal things. Nothing here for activists to sell on the doorsteps to voters sympathetic to our usual menu of fairness, redistribution and liberty.